Summer should be all about fun in the sun, and as a parent, you probably relish the opportunity to get yourself and your kids out in the open after a long winter cooped up inside. Whether you enjoy running around the local park or meandering your way through the woods out back, outdoor activity is never a bad idea when it comes to enjoying the summer weather and keeping physically fit. However, summer does bring along certain threats to your health, and not all of them are as easy to spot as heat exhaustion or a scraped knee. In some respects, the biggest threats can come in small packages, like ticks. These little critters are often no bigger than a freckle on your arm, but the microorganisms they can infect you with when they latch on and bite can majorly ruin your entire summer. You might’ve learned as a kid to check your legs for little black spots after walking through tall grass, and this piece of advice still applies today. While you might be worried about mosquitoes and other flying insects that bite you for a few moments before flying off, you really want to be more concerned about ticks that don’t let go. Technically tiny arachnids, ticks work by latching themselves onto patches of exposed human or animal skin. They usually have strong legs and can crawl up clothing to reach the skin of your legs, arms and possibly even face. Once they find a suitable spot – usually warm, moist patches of skin – ticks will dig their sharp, microscopic teeth into your skin and anchor themselves in place. No matter how much you try to shake them free, they’re not going anywhere. Ticks pack a big bite in a small package. Why are ticks so dangerous? Ticks are driven by the need to consume blood as a means of sustenance, which means they have the ability to expose your body to harmful contagions from the inside out. 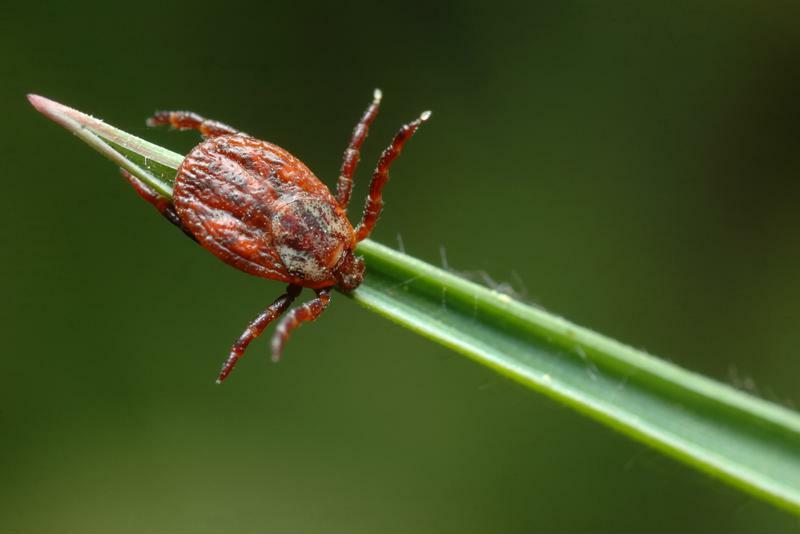 While the majority of tick bites don’t leave any trace other than a raised, slightly painful bump, these insects can transmit a variety of potentially debilitating diseases if they happen to carry a particular bacterium or virus. Colorado tick fever, Rocky Mountain spotted fever, tularemia and ehrlichiosis are some of the less well-known tick-borne diseases, but odds are you’ve heard of the most common condition caused by ticks: Lyme disease. According to the U.S. Centers for Disease Control and Prevention, in 2013 there were about 30,000 confirmed cases of this energy-sapping, fever-inducing and potentially life-threatening illness. Add another possible 5,000 unconfirmed cases of Lyme disease that year and the threat to your health from these unassumingly small insects should be clear. So what should you do when you find that a tick has buried itself into your skin? You could try to pluck it out with a pair of tweezers, but there’s no guarantee that you’ll remove every part of the insect from your body. Instead, head to your local CareWell urgent care center, where qualified clinicians can not only safely remove ticks, but also perform preliminary tests to make sure you weren’t infected by any disease-causing bacteria before you even feel the symptoms.